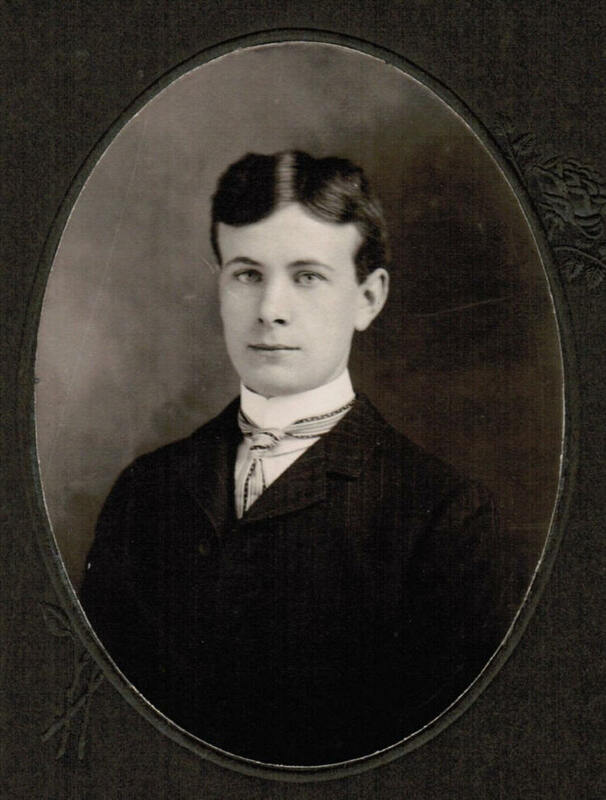 Valentine “Val” Volk pictured here as a young man, immigrated to the United States in 1893, along with his brother Jacob John. Val was 14 years of age at the time and listed Marshfield as his destination. The 1900 Federal census and the June 1, 1905 Wisconsin census list Val as a resident in the house of his brother Jacob, Greenwood WI.  His occupation indicates he is a tailor, having learned the trade from his brother Jacob. 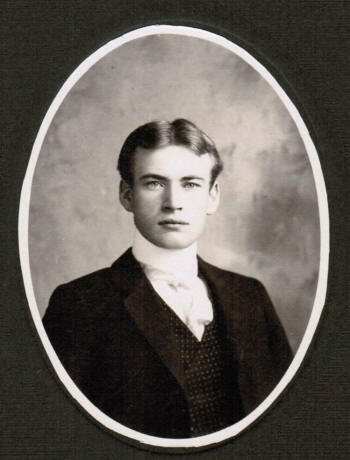 August, 1906, he traveled to Chicago where he had been picking up the latest pointers in the tailoring business. 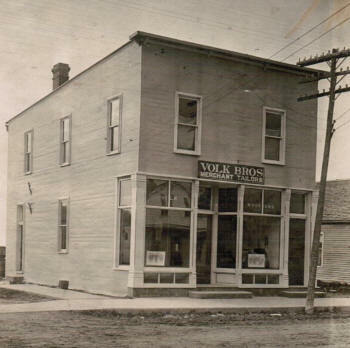 In 1918, Val registered for the draft of WWI, living in Greenwood with his wife Bertha, working as a tailor for Volk Bros. The 1920 census lists Valentine, age 40 as head, with wife, Bertha, age 37 living near neighbors the Art Buker Family and the William Marden family in Greenwood, WI. 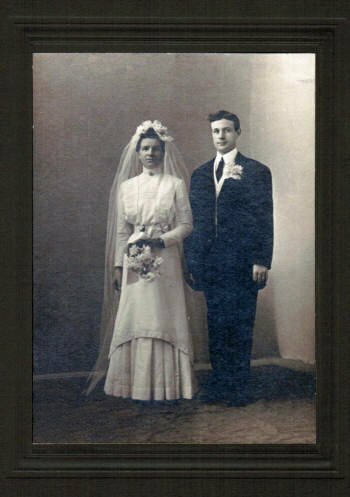 When Val passed in 1937, he was living with his wife, widowed sister-in-law, Caroline and nieces Virginia and Gladys Wehrmann. The Wehrmann sisters lost their mother in 1935. 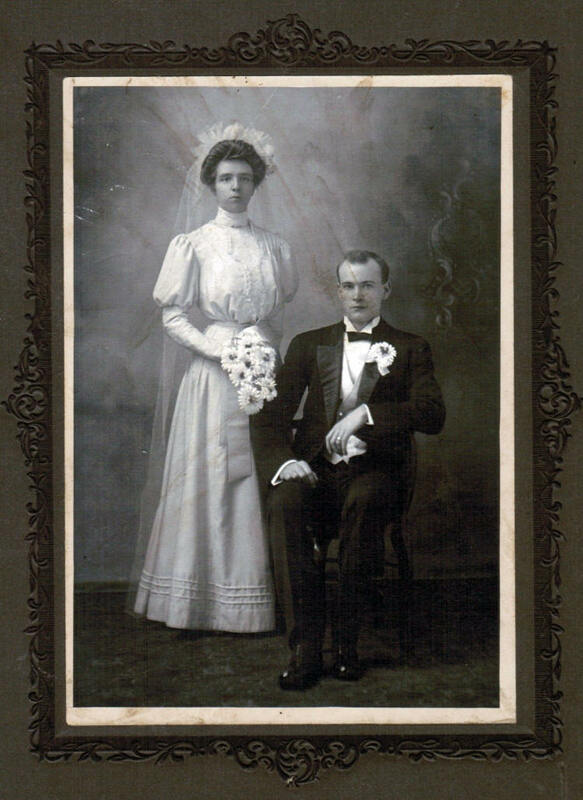 Valentine Volk, age 27, and Bertha Maria Lydia Wehrmann, age 25, were married on November 21, 1906. William Volk immigrated to the United States, from Germany at the age of 13. He lived with his brother, Jacob’s family according to the 1900 census, as did his brother Val. At the age of 18 at that time he is an apprentice tailor, learning the trade as did his other brothers. The 1930 census William is listed as the head of the household, age 48; living with his wife Caroline age 45. 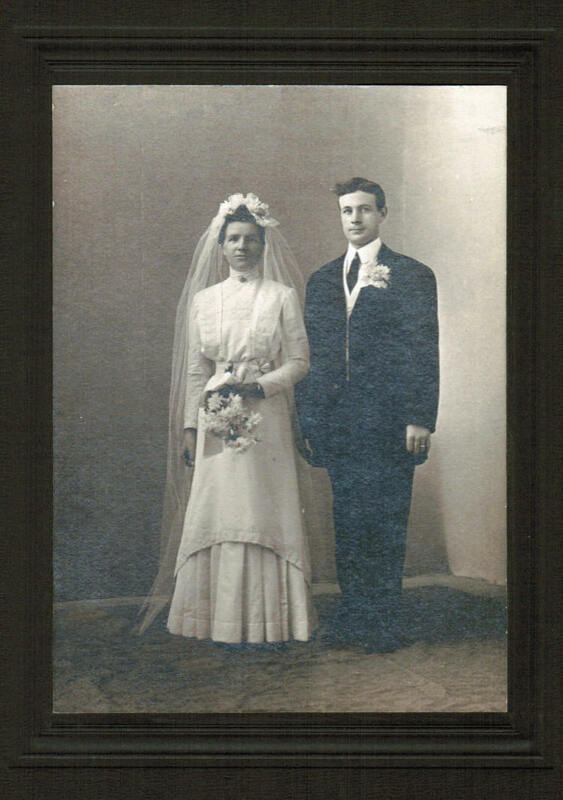 William Volk, age 28 and Caroline Wilhelmine Louise Wehrmann, age 26 were married November 19, 1910. 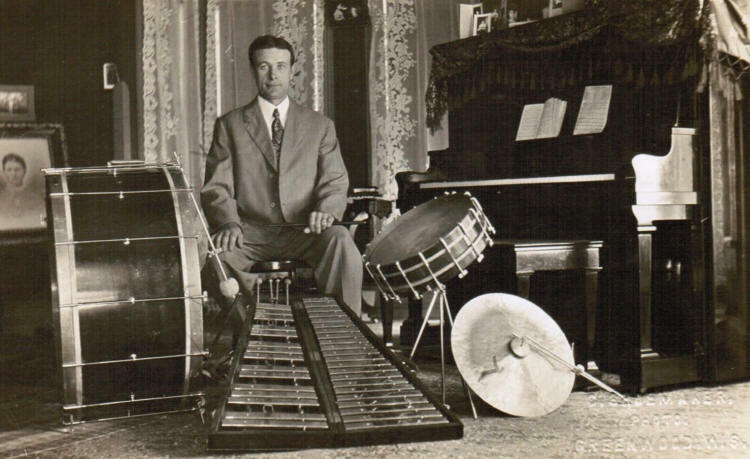 William Volk and his brother were involved in musical interests in the city of Greenwood. This picture of William shows the interest of the percussion instruments of that time. 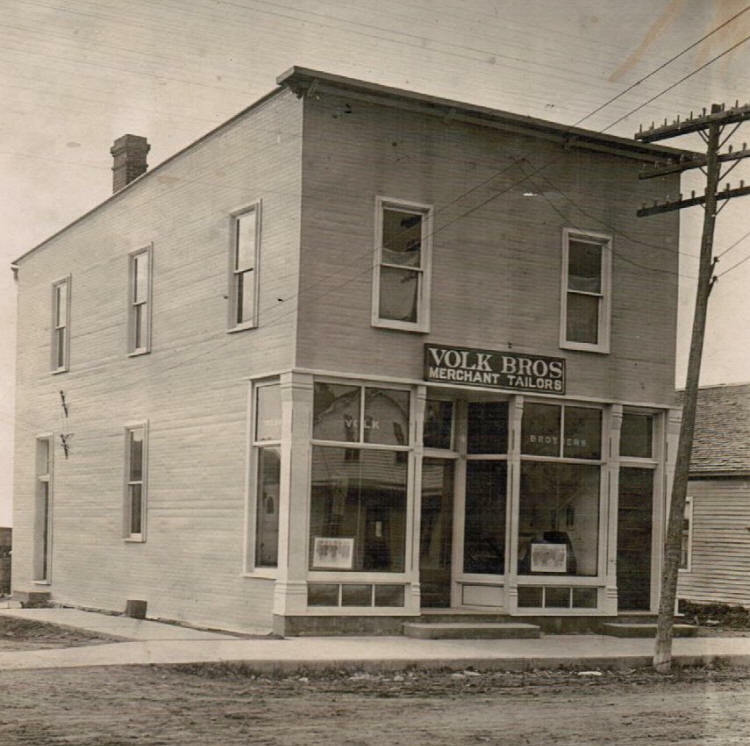 This building was constructed approximately in 1910, under the direction of Jacob Volk, who at the time had his brothers, Val and William helping with the expanded business. (link: ad in Greenwood Gleaner in 1912.